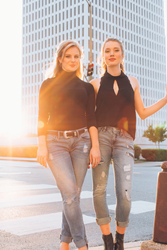 Nashville based company EVAmore (Events, Venues, Artists & more) co-founders Channing Moreland & Makenzie Stokel announced today a significant investment along with a strong season of fall event bookings with SEC colleges as they transition into third quarter. They make booking bands and events effortless with everything right at your fingertips. The customer service is top notch and you can feel at ease knowing they have your back. If you aren’t using EVAmore you are definitely missing out. EVAmore, the 2015 Nashville Young Entrepreneur of the Year announced their new significant investment is from Emergent Holdings, an Angel Fund out of Birmingham Alabama. Emergent Holdings is very selective and EVAmore completes their series A investment round. EVAmore is also kicking off fall with strong bookings at Auburn University, Alabama, LSU, Ole Miss, Vanderbilt, Sewanee, UTK as the company solidifies partnerships with SEC schools. EVAmore focuses on high profile events, campus events, destination events, weddings, offering a variety of on-demand entertainment which is hand-picked and vetted by EVAmore whose partners include top talent agency CAA. EVAmore makes it easy and turnkey for Social Chairs and Event Planners offering: Reliable Bookings; Simple Contracts and Secure Payment. EVAmore.co is an online platform giving event creators turnkey easy access to booking top entertainment talent. The unique platform draws comparisons in the music and entertainment industry to the innovations presented by early platforms created for the travel industry in booking. EVAmore was part of the inaugural class of the Project Music international accelerator program. The music tech first gained notoriety as one of only eight music startup tech companies (and the only female led) selected to participate in Music City’s first ever elite 14-week entrepreneur music tech accelerator program sponsored by the Country Music Association (CMA) and mentored by Creative Artists Agency (CAA), Vector Management, Ryman Hospitality Properties, Universal Music Group, Spalding Entertainment, DevDigital, Red Light Management and Galante Entertainment. In November 2015, the Nashville Chamber of Commerce awarded EVAmore as the 2015 Young Entrepreneur of the Year.